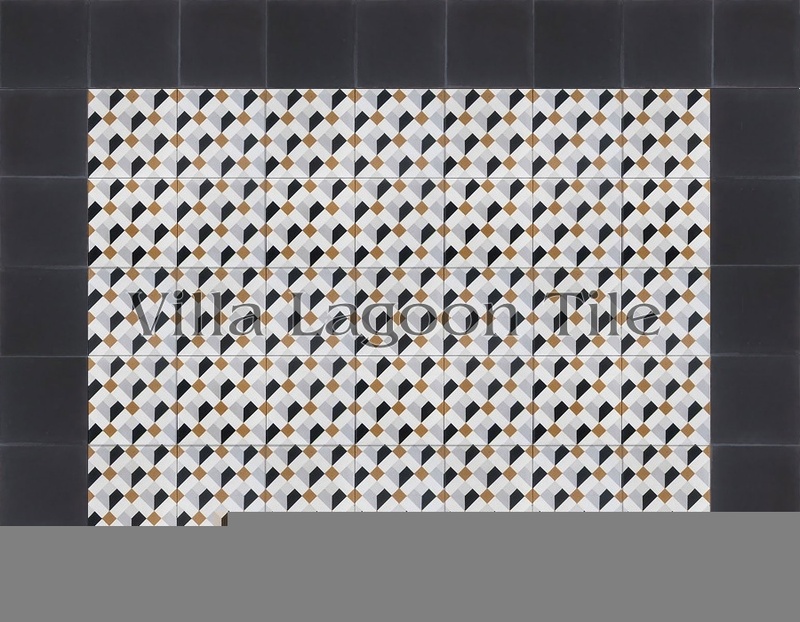 This is a 5-color 8" cement tile, using Black, White, Pebble, Limestone, and Smoked Pumpkin from the South Beach Palette. 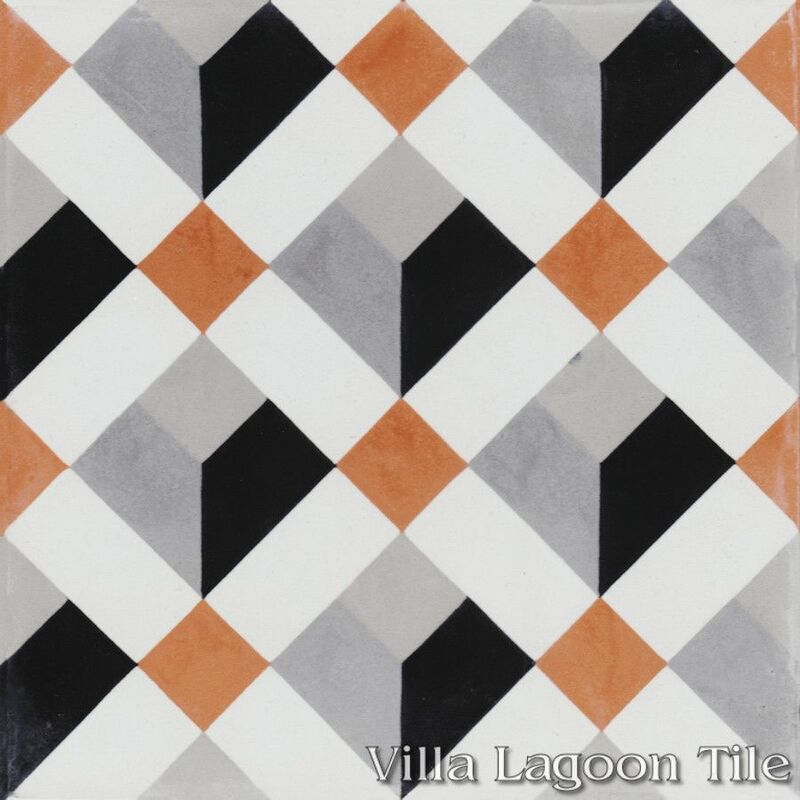 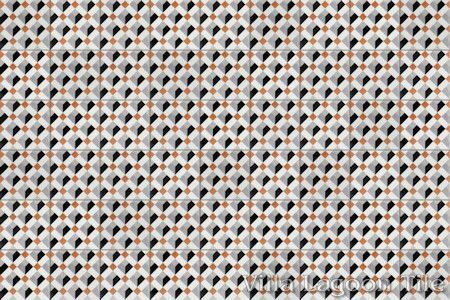 You see this classic geometric pattern and variations of it created in mosaics all over Italy, including Venice's famous Saint Mark's Basilica. 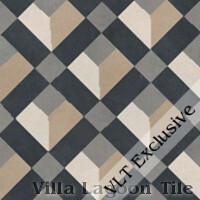 It is timelessly classic and cool and modern all at the same time. 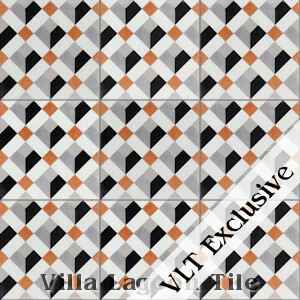 Our stock tile is in the colors most often seen in the floors in and around Venice. Our clearance lot MO-A03 is packed 10 tiles per box. 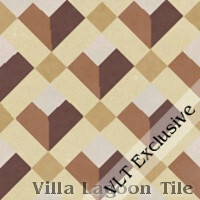 4.34 square feet per box. 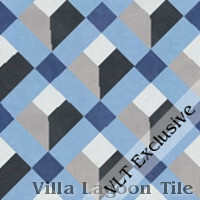 We have developed a number of classic and fun colorways, or design your own with the South Beach Palette of over 75 colors! 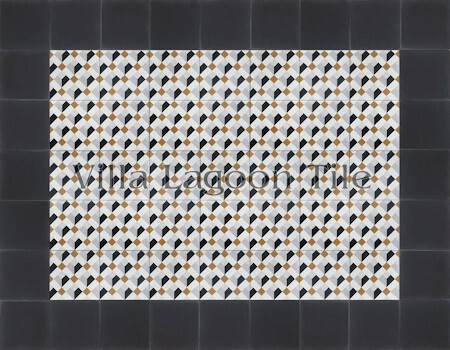 50 square foot minimum custom order (small order charges may apply under 100 square feet). 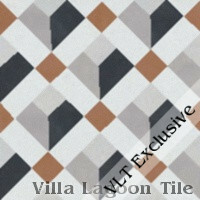 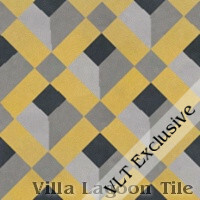 Click Here for the Venetian Collection Custom Tile. 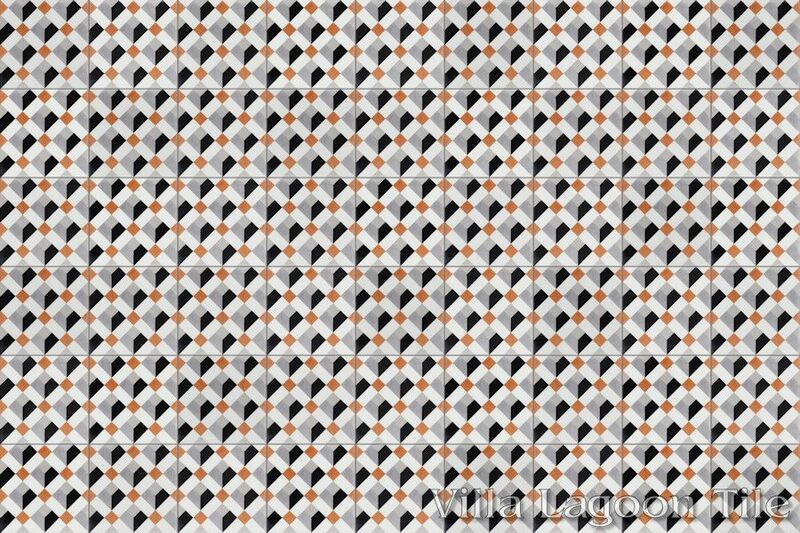 These are not stock tiles. "Custom Tile" lead times and minimums apply.